While working in John Muir Medical Center’s surgery unit, a young Dr. Michael Gazdar set his sights on applying to medical school. After it was suggested to him that he investigate the chiropractic profession, he first pursued a regular program of adjustments. Much to his delight, the asthma he’d suffered from his entire life vanished. And it never returned. Providing the best in cutting-edge care in Walnut Creek, CA, Dr. Gazdar has a first-class reputation for excellence in sports chiropractic, personal injury, scoliosis treatment, and more. Over the years, he has served chiropractic care to a number of celebrities and sports stars. He’s the official chiropractor for the San Francisco Giants baseball team, owning three World Series rings as Team Chiropractor for the team. 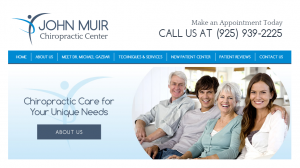 Before revamping the new website with fresh SEO-optimized content, we learned about the compelling story behind John Muir Chiropractic Center, including Dr. Gazdar’s unyielding passion for enhancing his clients’ health and quality of life. 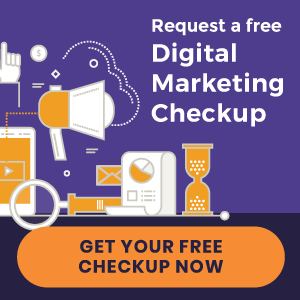 « Chiropractic Website Design | Shelley Chiropractic and more just launched!